Rowing is widely acknowledged to be one of the best all around fitness activities. All major muscle groups including legs, arms, back, abdominal and buttocks are used extensively while rowing. 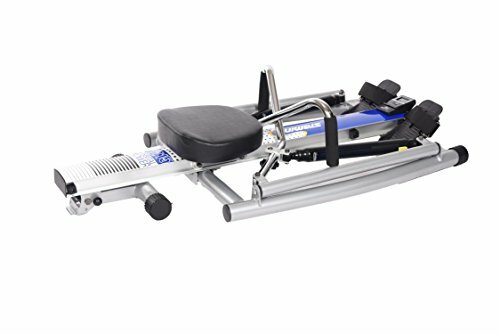 Enjoy one of the best all-around activities for cardiovascular fitness and strength with the Stamina 1215 Orbital Rowing Machine. 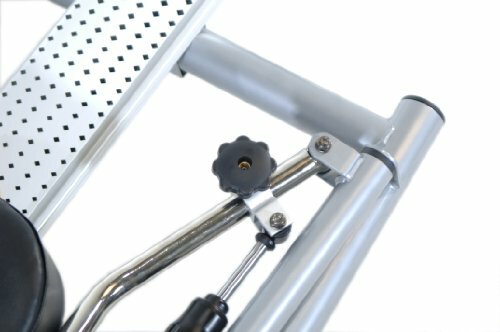 The 1215 Rower has full range-of-motion rowing for a truer rowing motion that mimics rowing on the water with a padded seat that glides on a ball bearing roller system, rowing arms with adjustable resistance, and foam grips that keep hands stable and comfortable. 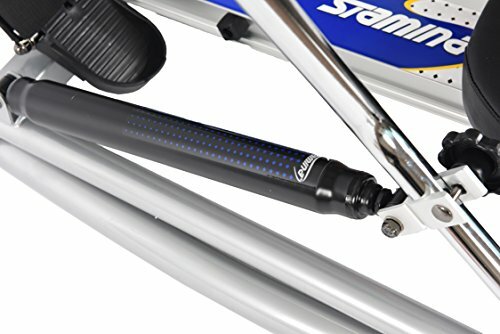 The Stamina 1215 exercise monitor. 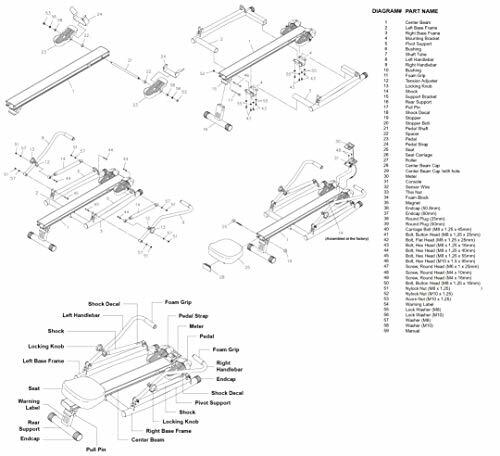 See larger image for more features. 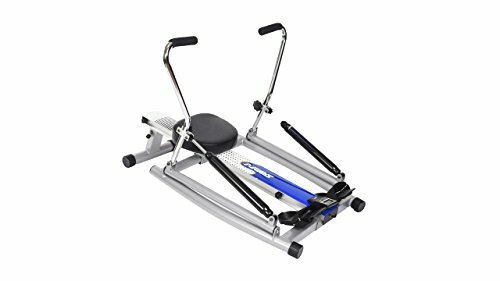 Compact and portable with a footprint of just 32.5 x 48 inches and a weight of 47 pounds, the 1215 Rower is a great way to get a workout in smaller spaces. The multifunctional fitness monitor keeps you motivated and on track to reach your fitness goals showing speed, distance, time, stroke count, and calories burned during your workout. 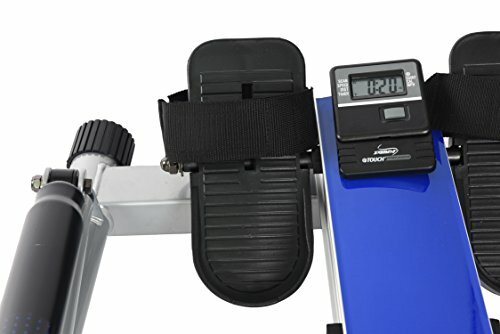 Rowing provides an efficient, effective, low-impact workout that utilizes all the major muscle groups, including the back, legs, arms, abdominals and buttocks. It is also one of the best exercises for building a strong back, as well as one of the most effective low-impact aerobic exercises for increasing your metabolism. 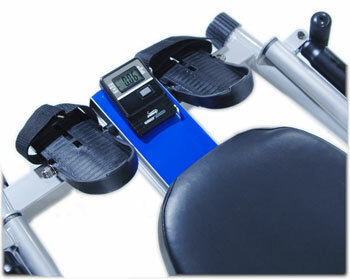 As a result, you can efficiently burn calories and fat without impacting your joints. The continuous, non-impact movement of rowing can be broken down into three phases: the starting point is called the catch phase, followed by the drive phase, the finish, and the recovery. In the catch phase, knees are bent with shins vertical and shoulders and arms reaching forward. This phase mimics the point where the oars are being placed in the water. The drive phase is initiated by the legs. As the legs extend, your arms remain straight until the knees are mostly extended. Then the elbows flex bringing the oar handles into the upper stomach. In the finish, the legs are fully extended, your shoulders are back, your elbows are flexed, and the oar handle is against the upper stomach. For the recovery, your knees don't flex until after your hands pass over your knees and your arms and shoulders reach forward to begin the catch phase again. Because rowing is an impact-free activity, it can be a lifelong form of exercise. It is always best to exercise in your target heart rate zone (70 to 85 percent of your maximum heart rate).